Our goal at Ashford Halley is to provide our clients with the best bridal portraits possible, regardless of the situation. With each session we bring every ounce of creativity, knowledge, effort, and professional equipment that we have in our possession. However, as in any collaboration, there are things that clients can do and choices that they can make that will greatly increase the odds of a successful shoot. While it may seem that the weather is a variable completely out of your control, and it essentially is, your preparedness for the weather will have a direct impact on your shoot. Rain is the most likely weather phenomenon here in the south to cause you headaches for your bridal session. In the days before your session if the likelihood of rain becomes greater than 30% then it is probably a good idea to start making preparations. For locations that are completely outdoors, the possibility of rescheduling is the most likely outcome. We try to remain flexible for our clients because of the unpredictability of the weather, so we are usually open to making decisions even on the day of the shoot itself. Keep in mind also that when it comes to bridal portraits, it’s not just whether or not it will be raining during your shoot but also if it has rained earlier in the day. Once the ground gets soaked from a good rain, even if it is not raining by the time your shoot begins there are a number of ways that this could still negatively impact your photographs. Having you stand on wet ground, particularly when on dirt, gravel, and grass is certainly problematic for white wedding dresses and nice shoes. Our best advise is to closely follow the forecast before your shoot and plan accordingly. Much like weather the temperature can directly affect your shoot, and by paying attention to the forecast beforehand clients can make decisions that can offset how much impact the temperature will have for their shoot. Summer heat here in the south is stifling. So much so that we advise all of our clients to avoid the summer when it comes time to schedule their portraits. Should you find yourself planning bridal portraits for the middle of the summer, our best suggestion is to choose a location that is indoors with air conditioning. No amount of photoshop will make a subject who is hot, actively sweating, and having hair and makeup being negatively affected look like they would on a nice Spring or Fall day with cooler temps. Outdoor portraits can still be achieved in some situations, but usually that is done by having access to air conditioning at the location of the portraits. We can perform the outdoor portion of a shoot in 10 – 15 minute sessions, where in between clients retreat indoors to cool off. The location will affect the feel and theme of your shoot, it will affect your ability to deal with variables like the weather and temperature, it will affect how much time you’ll need for your shoot on the day of, and it will affect how easily you are able to get ready for the shoot. We have many, many locations that we shoot at regularly and are happy to help advise all of our clients when it comes to choosing a location. However, we also want to shoot in locations that our clients envision their shoot at, and in some cases our clients may have a suggestion for us as well. Do keep in mind however that not all locations are created equal, and in some situations some locations may actually be much less than ideal. Discussing your ideas with us will help us to guide you through the process of deciding on a location. You’ll want to consider things like how much variety of scenery the location has, how much shade (or lack thereof) the location has, if there are distracting or less than ideal objects or backgrounds in certain portions of the location, how close or far away the location is from where you’ll be that day, and how accommodating the location will be for you to get ready at before the shoot begins. The quality of the lighting for your shoot greatly affects the quality of the images that we are able to produce for you. And nothing has a greater impact on the quality of the lighting for your shoot than the time of day that it happens at. When shooting outdoors, there is simply no better time to be shooting than as close to sunset as possible. The light is softer, more complementary, easier to work with, and generally more beautiful at sunset. For all of these reasons, when shooting outdoors our best suggestion is to schedule your shoot for the last hour and a half of daylight. However, certain locations will have restrictions and limitations on the times that they allow bridal portraits to happen. On our end, we will bring every piece of lighting equipment that we can to account for less than ideal lighting. We recommend to all of our brides having someone there to help you during the course of your shoot. From helping to fix hair and makeup, to fluffing your dress, to carrying with you all of the items you may need during your shoot, it is always a good idea to have at least one person come along with you to help you during your shoot. Bridal portraits can be a bit of an undertaking, and having the right people there to make your shoot a success can make all the difference. And of course, it also gives you some people to celebrate with afterwards over dinner and drinks! Your shoot will likely require some accessories. A bouquet is almost always a good thing to have for your shoot. A bouquet helps give you something to do with your hands during your shoot, and also increases the posing possibilities. Not every shot that we take will have your bouquet in it, but by not having one you will be more limited in what you’re able to get. Also, we suggest to all of our clients that they bring along an old sheet or a shower curtain liner to put under their dress in situations where it may otherwise get dirty. This accessory will allow you to shoot in places that you otherwise might not be able to, and save you the headache or having to have your dress professionally cleaned after your shoot. Yes, you’ll need to bring yourself along for your bridal portrait shoot. But you’ll need to be more than just present for your shoot. The success of your shoot can come down to how eager your are to participate. Bridal portraits can, sometimes, be a bit stressful on the day of. Once your shoot starts however, your ability to enjoy the shoot can greatly and directly impact the success of the shoot. For our part we try to have as much fun as we can with each shoot, and we try to interact with you in a way that will allow you to have fun during your shoot as well. Bridal portraits are fun! In fact, they are probably one of our favorite portions of wedding photography. Bridal portraits are an opportunity for us to be creative, a scenario that allows for us to take our time, a time to get to know our clients, and a moment for you to see how you’ll look on your wedding day. Have fun!! Bring along your expectations and share them with us! But keep them realistic. We love hearing and executing your ideas for everything from poses, facial expressions, locations, to props and accessories. 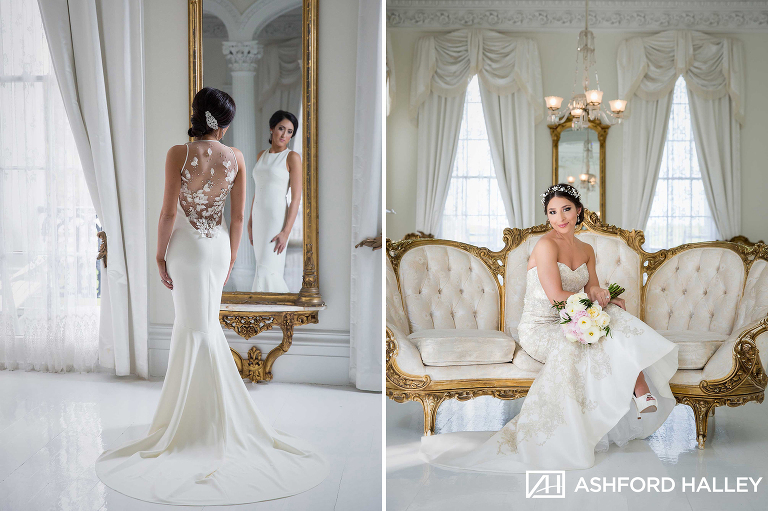 Bridal portraits are a collaboration, and we want to personalize everything that we do for every one of our clients. However, we still have to remain true to our style and approach to photography, and also have to deal with the challenges and scenarios presented by many of the things mentioned above. Keep your ideas ready… but make sure to cater them to the scenario. Show us an idea you found for a pose, but keep in mind that we will do so in our own style and that your location is likely different from your example. 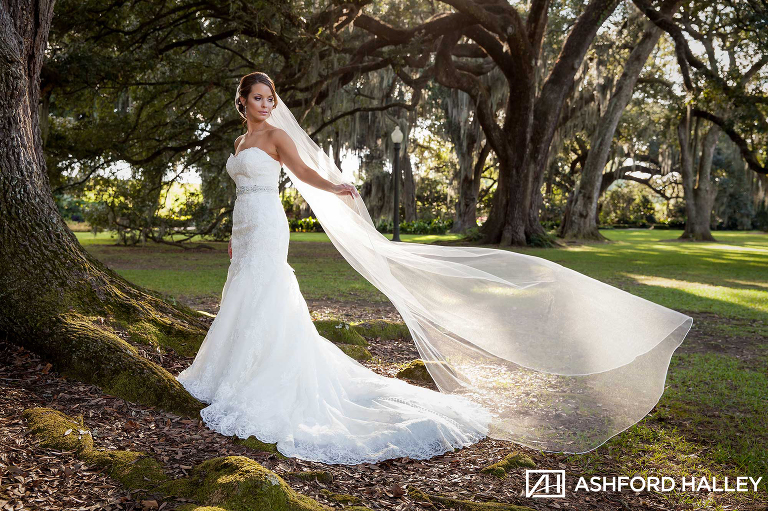 For more information on how Ashford Halley can capture your wedding day visit www.ashfordhalley.com. 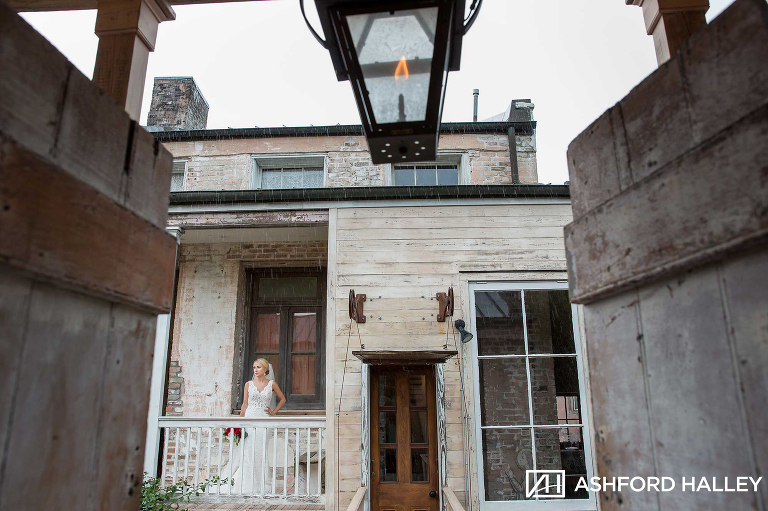 Your search for a Baton Rouge or New Orleans Wedding Photographer ends here! 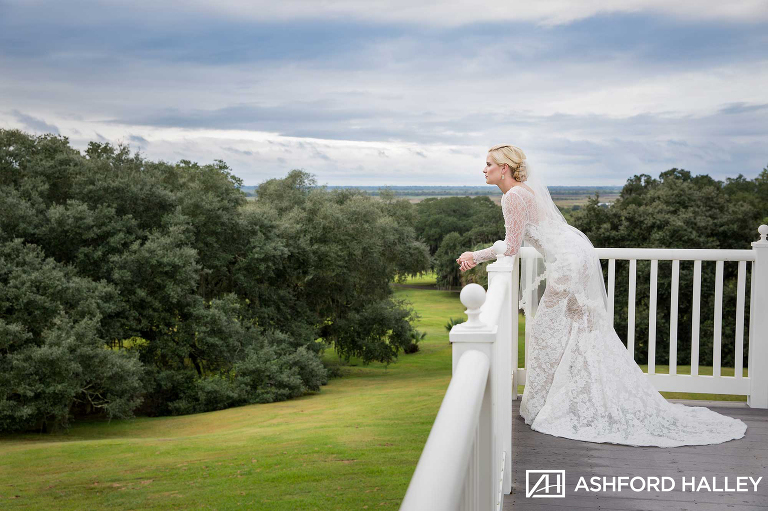 © 2019 Ashford Halley | New Orleans Wedding Photographer|ProPhoto Photo Blog|Design by Northfolk & Co.